But what if a change did happen, a change I didn’t plan in advance, one that I have no control over? What if that change interrupted the mundanity of life in such a way that every single day after that becomes a struggle to survive? For millions of people around the world, such a disruption has happened—unplanned and completely out of their control. Ongoing war and conflict in their home country has upended everything. Unconscious daily routines like mine aren’t even an option for them. They have endured a life-endangering journey and have become refugees. Unconscious daily routines like mine aren’t even an option for them. They have endured a life-endangering journey and have become refugees. I recently had the privilege of meeting some of these refugees on a visit to Lebanon with Covenant World Relief. An estimated 5.6 million Syrians have fled (and continue to flee) the Syrian conflict, and 1.5 million of those refugees are in Lebanon. We met a small handful of them. Faced with unbearable conditions, distress, and even the possibility of death in their home country, they risked the dangers of crossing national boundaries to enter Lebanon, seeking safety, support, a better life for their family, and increasing their chances of seeing another tomorrow. 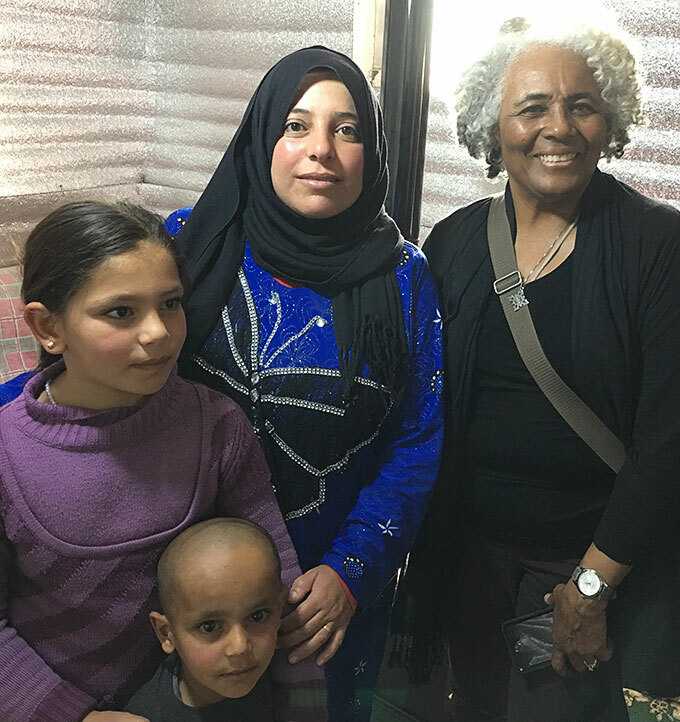 Debbie Blue (right) visits with Syrian refugees in Lebanon. Our team entered the Central Bekaa Valley to get a firsthand view of that “better life” in the informal settlements of these Syrian refugees. As we walked among the tented housing, we were graciously invited into tarp-covered units constructed of plastic sheeting and timber, some with Mylar “walls” separating one family from another. What we saw, heard, and learned was both amazing and heartbreaking. We removed our shoes as we entered the rug-covered dirt floor, respecting the household that invited us in. We saw multiple generations living together in makeshift housing, lacking basic requirements that we would consider must-haves to live a life of dignity. We heard stories of pain and suffering, outcomes of the ravages of war. And we heard stories of those who took flight to avoid being forced to serve in the war, coupled with the scars incurred in the conflict. We saw school-aged children playing and running carefree in the middle of the day. The cost of education in the public-school system, a mere $20 per month per child for transportation, is unaffordable for families who earn $2 a day. Some children are forced to work to help their families survive. It was hard to conceive that some of these children have not been to school for as long as five years. Where is the hope? How can one think about tomorrow while grappling with the challenges of surviving each day? CWR partners with MTI Lebanon as they work alongside Syrian refugees. Pictured here with MTI Lebanon staff are Debbie Blue; Chrissy Palmerlee, director of administration for Serve Globally; Dave Husby, director of Covenant World Relief; and Jeff and Darlene Anderson, regional coordinators for MENA. In their report, MTI writes, “Lack of legal residency and limited livelihood opportunities result in shortfalls in basic needs, feelings of insecurity and hopelessness, and an increase in harmful coping strategies including child labor. The refugees in Lebanon face a constant struggle for access to resources and services. Existing research data suggests that more than half of Syrian refugees in Lebanon are suffering from severe emotional disorders.” The work and partnership of MTI and MTI Lebanon with CWR is making a significant difference in addressing basic essentials for living a healthy lifestyle under very adverse conditions. We witnessed first-hand the amazing and empowering work of the MTI Lebanon team—strategically training, equipping, and caring for these vulnerable refugees. Through feedback provided by the refugees, MTI developed and trained 240 refugee outreach volunteers (ROVs) to serve 120 informal settlements, addressing the immediate medical needs of this vulnerable population. ROVs provide community education, connect displaced people to other health services for referrals, and coordinate and link refugees with other agencies and organizations for services that are beyond MTI’s scope. In addition, thirty SROVs (senior refugee outreach volunteers) have been recruited. 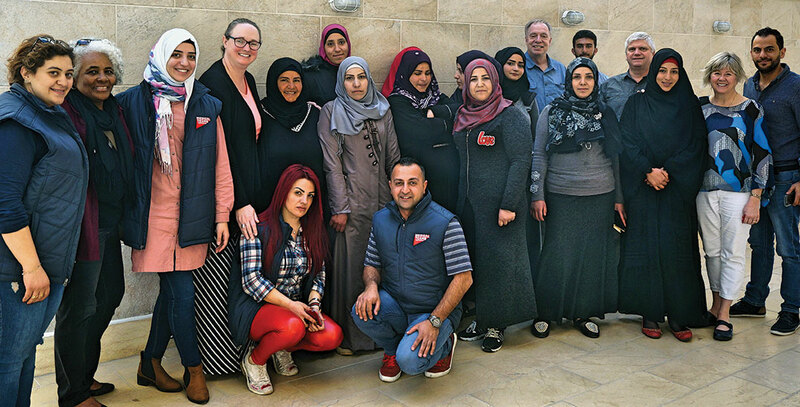 Through the combined efforts of these volunteers, along with four community health promoters, MTI Lebanon is helping to reduce common diseases, improve household health practices, and address mental health issues. These days I no longer take my mundane morning actions for granted. None of us will ever know if tomorrow happens until it does—and then we thank God for that gift. 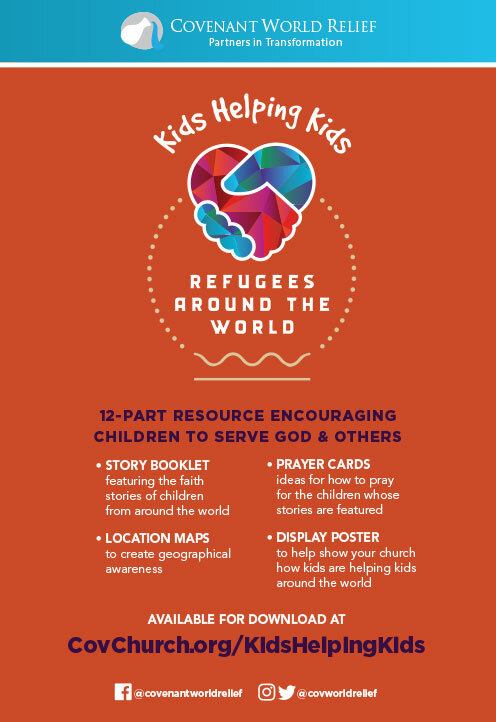 For refugees everywhere, my prayer is that God would bring about the “tomorrow” that would return them to the home their hearts long for. Until then, may MTI Lebanon and CWR continue to affirm their dignity and worth and bring hope in strengthening the local community. To support Covenant World Relief’s life-giving work with refugees in Lebanon and in many other countries around the world go to covchurch.org/givetorefugees. 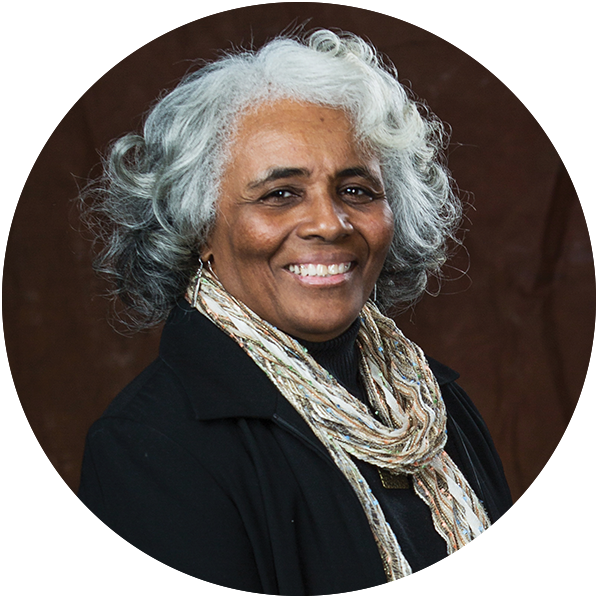 Debbie Blue is the former executive minister of Love Mercy Do Justice and serves as a member of the Covenant World Relief Advisory Team. One of her favorite places to be is a Chicago Bulls game. I try to imagine what these refugees are going through and my mind is blank. I can’t fathom having to leave my home with nothing or next to nothing, going to another country to be safe, and trying to live under very different circumstances. Living in a tent city, children not being able to go to school for years, working for $2 a day. I take so much for granted living here. Thanks for opening my eyes!